The UAE Minister of State for Financial Affairs, His Excellency ObaidHumaid Al Tayer, has expressed that the UAE will execute VAT at the rate of 5% on 1 January 2018.It is expected to be introduced at a rate of 5% with some limited exceptions including basic food items, healthcare and education. The Federal Tax Authority (FTA) announced a selective tax of 100% on tobacco and energy drinks, and 50% on carbonated beverages that will be applied in the fourth quarter of this year. According to Euromonitor International’s Industry Forecast Model (IFM), value added tax will have significantly different impact on different consumer industries, impact on two regions of UAE (Packaged Food and Non-alcoholic drinks). 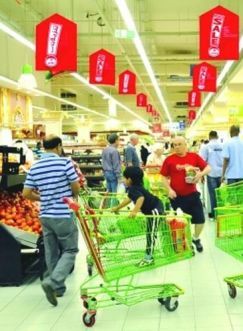 UAE is expecting that there are number of food items that will be exempted from VAT but GCC members have not yet ratified final agreement and the list of exempt goods is not confirmed. Lootah, the managing director of Al Islami Foods, one of Middle East’s biggest halal food producers stated that "The UAE currently imports 90 per cent of its total food requirements, so opportunities are rife for the industry to manufacture or process a significantly higher share of our domestic food needs at a local level – this opportunity is not limited to the UAE, it is the case across the region,"He also added that “We will leverage the conference to outline how regional food producers can enable faster and more cost-effective production of safer and more reliable products by implementing the latest ingredients, processing machinery, packaging equipment and logistics, warehousing and cold chain solutions into their operations,”they are also known as the Middle East’s biggest halal food producers which has supply operations in Brazil and Australia, and which exports its products throughout the Middle East, the CIS and Europe. Tarek El Sakka, CEO of Dubai Pepsi Refreshment Group, address how the impending introduction of the 5% levy will impact consumer spending and consumption, with a specific focus on the steps regional firms must take to maintain business growth by readying their internal and external finance systems, accounts, sales and supply chain strategies for the introduction of VAT introduction. "Key industry decision makers, thought-leaders, and influential players increasingly see Gulfood Manufacturing, and consequently Dubai and the UAE, as crucial to their regional and global expansion strategies," stated LohMirmandthe senior VP for Exhibitions & Events Management, DWTC. "Alongside the core exhibition featuring the latest food processing and manufacturing products, solutions and services, the Business Talks Conference will highlight why Gulfood Manufacturing 2017 is a must-attend event for anyone in the industry – from start-ups to multi-territory global heavyweights," she added. It is expected that VAT will raise consumer prices so price elasticity data can be used to evaluate the appropriate impact on price and sales. 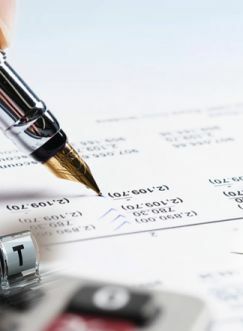 Implementation of VAT will incur costs for everyone in the supply chain, consumers are expected to bear higher costsin the short term, so the short-term challenges in the food and beverage industry generally includecertain things like accounting and reporting systems, train their staff, reprogram he ERP systems, or even acquiring new ERP systems, will be levied on the companies. As when it comes to long term, it is clear that long long-run response and it is usually larger than the immediate short-term effect due to consumer habit persistence. People take time to adjust their purchasing habits as economic conditions change, if competitive companies are already pricing close to marginal cost and may not have an ability to supply products at even lower prices and so the whole tax will be passed on to consumers. It is expected that VAT will hurt Dairy, Confectionary and Baked Goods the most as according to the forecast is Confectionary sales in UAE will decline by 100 million US$ over 2018-2023 period when compared to the baseline forecast which is more than 17% of Confectionary’s market size which in 2018 is estimated to reach 580 million US$, where drinks industry will decline by 376 million US$ over 2018-2023 period when compared to the baseline forecast. This is loss of 13% of Carbonates’ market size which in 2018 is estimated to reach 2.99 billion US$.